It takes less time than you think to add aluminum or copper gutters to your home or business. We offer an assortment of colors in both 6 and 7 inch seamless gutters, adding to the enjoyment of your property for many years to come. In addition to the value added, our professionally installed gutters come with a 3 year warranty on materials and workmanship. 1. Less chances of clogging. Seamless gutters lack ridges and seams, where needles and small debris tend to collect. Small buoyant solids will just slide with the rainwater into the downspout. 2. No leaks. Regular gutters have seams that have to be periodically sealed with sealant, which deteriorates in a short time. Leaks could develop if left unattended. Another benefit of having seamless gutters is that you can forget about sealant, as there are no seams to seal. 3. Virtually no maintenance required. Seamless gutters are typically made with aluminum or copper, so corrosion is one less thing to worry about. Combined with a well-designed gutter guard, you can just forget about your gutters and still expect years of service. 4. Professionally done every time. Seamless gutters are cut on-site – every installation is custom fit for the home. Such installations require specially designed machinery and intensive training. This means all seamless gutter installations and gutter repair, can only be done by trained professionals. 5. It just looks good. The seams on traditional gutters leave a lot to be desired in terms of looks. 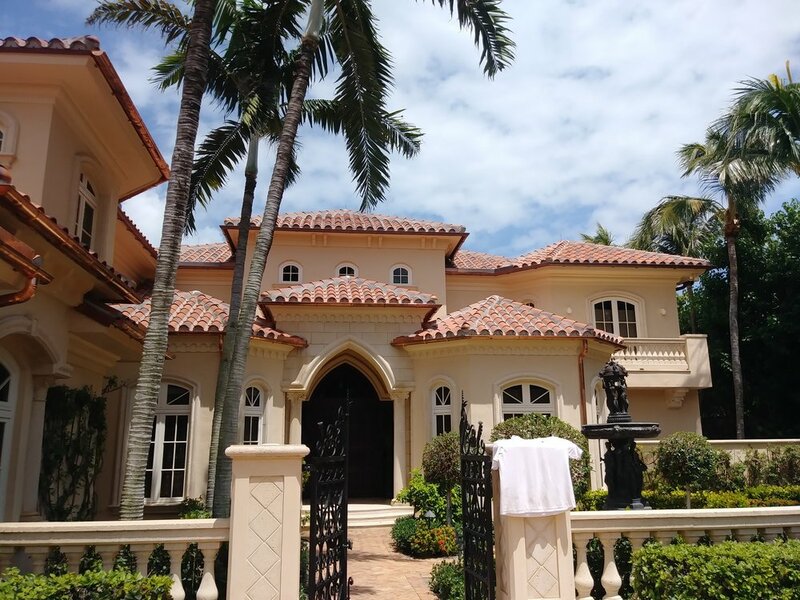 Seamless gutters in South Florida have many more options. Some materials, like aluminum, can be factory-colored, so painting (and subsequent repainting) will not be required. Other materials, like copper, will look even better over time. Your gutter system plays an important role in keeping your home protected and damage-free. When it rains, they keep water away from your home by directing its flow away from the foundation. There are different kinds of gutters that you can choose for your home. Pace Roofing Inc. has an in house expertly trained crew that can answer any questions and install your system correctly the first time.